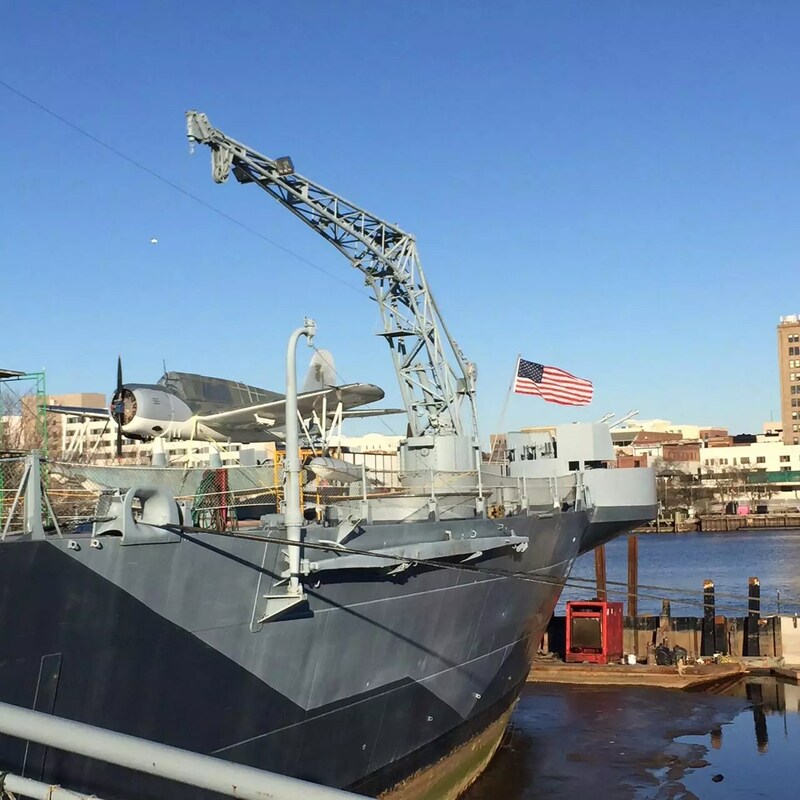 One of Wilmington’s best known attractions is the USS North Carolina. It’s a battleship that saw action in the Pacific Theater during WWII. Less well known is the plane that sits on the battleship’s deck. The full name of the original version of the aircraft is the Vought-Sikorsky XOS2U-1 monoplane. It was given the much easier to remember name of “Kingfisher” in 1941 by the Secretary of the Navy, Ernest J. King. 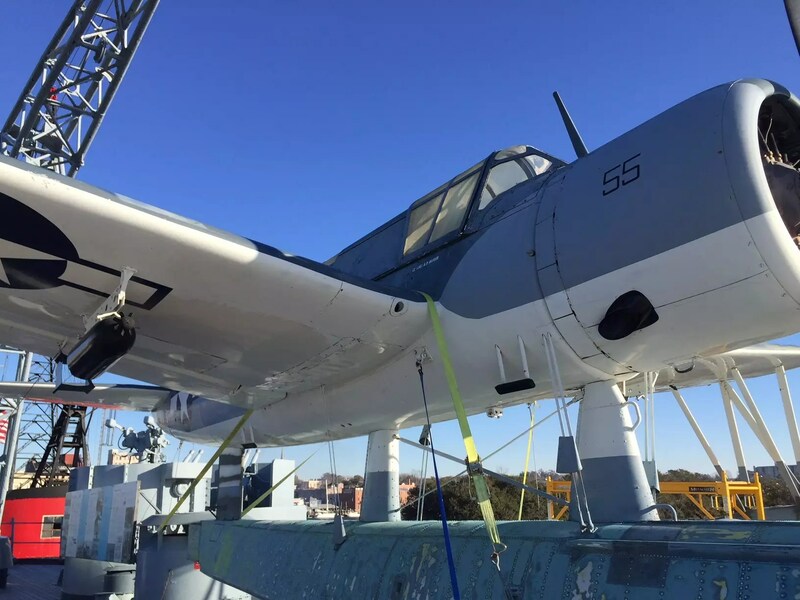 If you visit the USS North Carolina today, a Kingfisher still sits on the battleship’s deck. 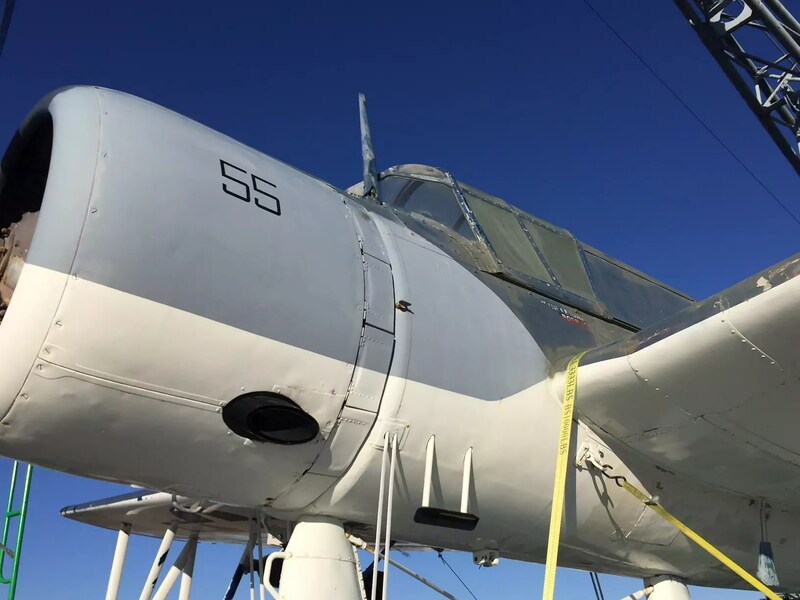 They are beginning a restoration of the plane and among other things will be giving the aircraft a fresh coat of paint and new decals for the plane’s markings. That’s where we come in. Once they get to that stage, we’ll be doing all of the printing for the visual details! We’ve previously done other restoration work on the battleship. 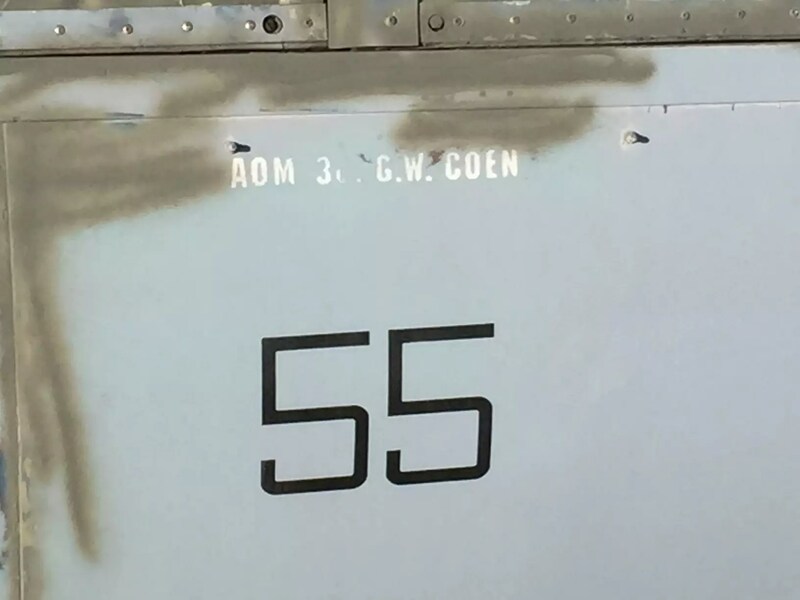 Below you’ll see an old panel of faded and peeling decals. These are the Ribbon Board and Kill Board on the side of the USS North Carolina. Here are the new versions when they were still at our facility. Museum printing is one of our specialties. 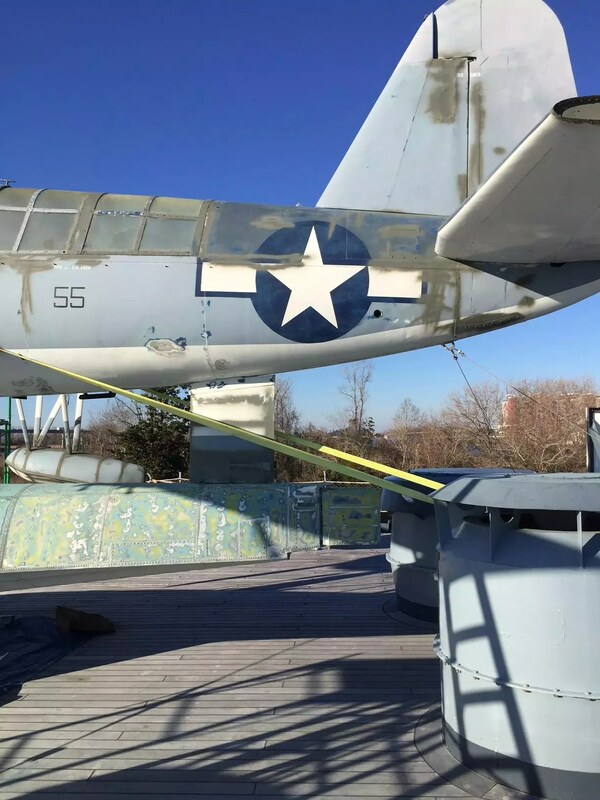 We have worked extensively with the Battleship, the Cape Fear Museum of History & Science, the Core Sound Museum and the Children’s Museum of Wilmington. Knowing that we’re going to be involved in restoring a piece of history, we wanted to learn more about the Kingfisher and its service during the War. The purpose of the Kingfisher seaplane was largely observation and rescue but was also involved in anti-submarine patrols, helping battleships hit their targets, and mail runs. This fit well with the mission of the USS North Carolina, which was to support the aircraft carriers attacking land-based targets. The U.S. Navy organized fast carrier task groups to carry out missions in the Pacific Theater. Carrier air strikes against enemy strong holds on islands were a primary mission. These missions put pilots and their crews at great risk. Some aircraft would be shot down and surviving crew would sometimes land in the water near target areas. The aircrews would be recovered by ship, submarine or aircraft. Kingfishers rescued airmen who landed inside island harbors or on beaches. With their pontoons, the Kingfishers could land on and take off from water. The USS North Carolina originally carried three OS2U-2 Kingfisher planes. Once 20mm guns and 40mm gun mounts were added to her faintail, that number dropped to two. As the war progressed, when a plane was lost, it was replaced with an OS2U-3. A total of 158 OS2U-2’s and 1,006 OS2U-3’s were produced. During WWII the V. Division aboard the USS North Carolina consisted of 2 Kingfishers and 23 men. Three officers were pilots and three enlisted men flew with them as radiomen/gunners. The remaining 17 enlisted men included specialists in aviation repair and maintenance and aviation ordnance. They also had their own aviation supply clerk and photographer. Of the 10 men that died on the USS North Carolina, two men – George E. Conlon, and Eldon E. Means – came from V. Division. On April 30, 1944, the USS North Carolina was protecting aircraft carriers whose planes were assaulting Japanese encampments on Truk, a Micronesian island. Her Kingfishers were assigned rescue duty. That Sunday morning, Lt. J.J. Dowdle landed in Truk Lagoon to attempt a rescue. In the process, rough seas tipped over his plane. Lt. John A. Burns, in his Kingfisher, made a safe water landing and rescued the two USS North Carolina airmen and the stranded pilot. He taxied to a submarine in the area, the USS Tang, to drop them off. He and radioman Aubrey J. Gill flew away to search for three life rafts reported drifting off the island. Lt. Burns spotted a raft with a lone fighter pilot. He landed and the pilot climbed into radioman Gill’s lap. It took two hours of taxiing around Truk Lagoon before finally locating the three-man crew of a torpedo plane. Now Burns’ Kingfisher held six men. Lt. Burns began to taxi through choppy seas towards the USS Tang, now 20 miles away. Two hours into their travels, the men came upon another raft with three aviators. Burns told them to tie their raft to the pontoon but the plan proved impractical forcing the men to climb onto the plane. Now, a plane built for two had 11 men on it. 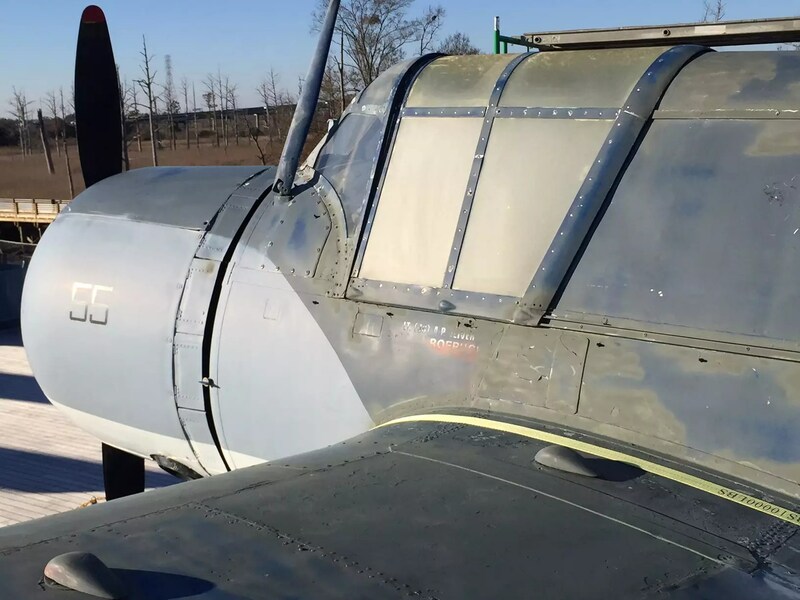 Two men sat on each wing to balance the plane and the other hung on the fuselage. Six hours later, the plane reached the USS Tang. The Kingfisher’s pontoon had ruptured and was out of fuel. Everyone boarded the submarine. The USS Tang’s guns destroyed the plane. The USS North Carolina lost both of her Kingfishers that day, but her heroic pilots rescued 10 men. Twenty months before the action at Truk on August 20, 1942 a dense fog shrouded an uninhabited Calvert Island, Canada. A formation of new OS2U-3 Kingfishers passed overhead enroute to the Aleutian Islands. In the fog, the formation became separated and one Kingfisher slammed into the side of Mt. Buxton. Incredibly, the pilot, Ensign Mac J. Roebuck, and gunner AMM1/c Stanley Goddard survived unhurt and walked down the mountain to the coast where they were rescued. The plane was left to the elements after a brief salvage operation. 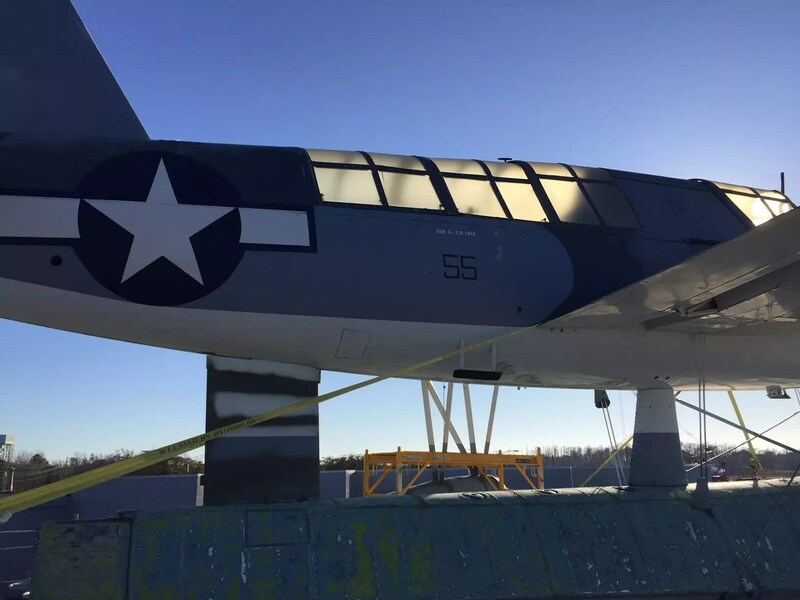 Twenty-one years later in 1963, the Canadian authorities recovered the plane and shipped it to the Air Museum in Calgary. The wreckage was turned over to the USS North Carolina for restoration. The Battleship requested that Vought Aeronautics restore the plane. 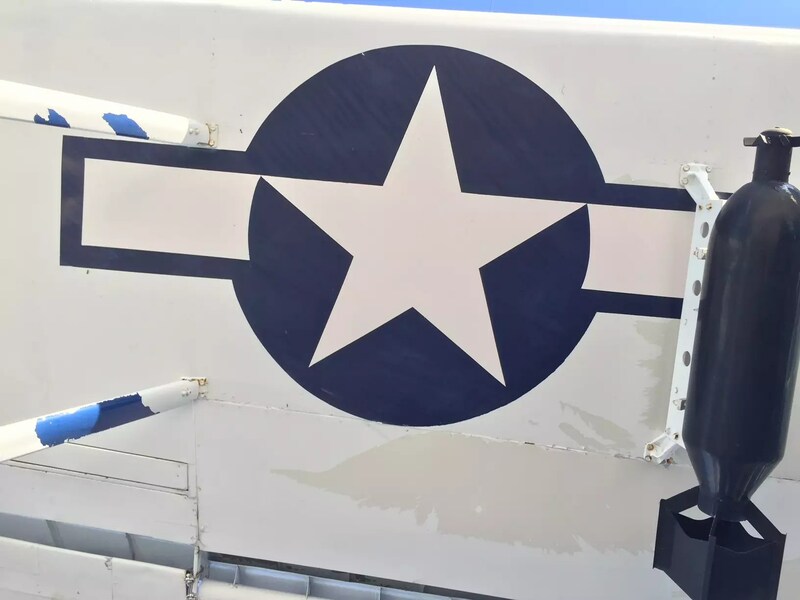 In 1970, it was shipped to Dallas, Texas, where the Quarter-Century Club (made up of retired Vought workers) began their restoration efforts. After a year of work, the OS2U-3 Kingfisher was placed aboard the Battleship and dedicated on June 25, 1971. An interesting piece of WWII trivia is the fact that Disney Studios developed insignia for over 1,200 military vessels, squadrons, and units during the War. Disney contributed his efforts free of charge as one way to aid the war effort. The Kingfisher aboard the USS North Carolina bears insignia featuring a Baby Pegasus, a character in the original 1940 Disney cartoon movie, Fantasia, shown in flight ready to throw a lightning bolt. There’s no evidence that Baby Pegasus ever graced the sides of the particular Kingfisher on board the battleship today. 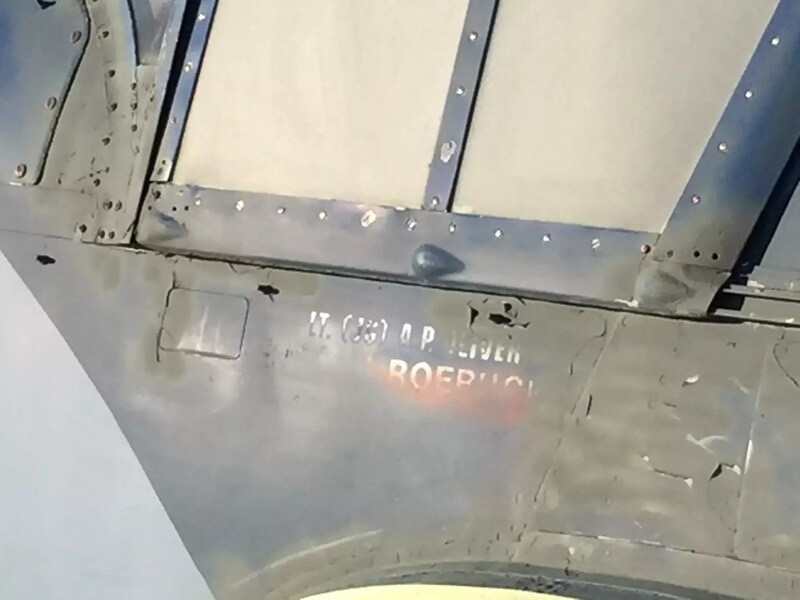 However, the Battleship has decided to put Baby Pegasus where he was intended to be over 50 years ago – on their Kingfisher. That, in a nutshell, is a brief history of the Kingfisher seaplane, a worthy WWII aircraft that saved many American lives. We will update the story in the future as the restoration gets under way. Here’s a photo gallery of the current state of Wilmington’s Kingfisher.